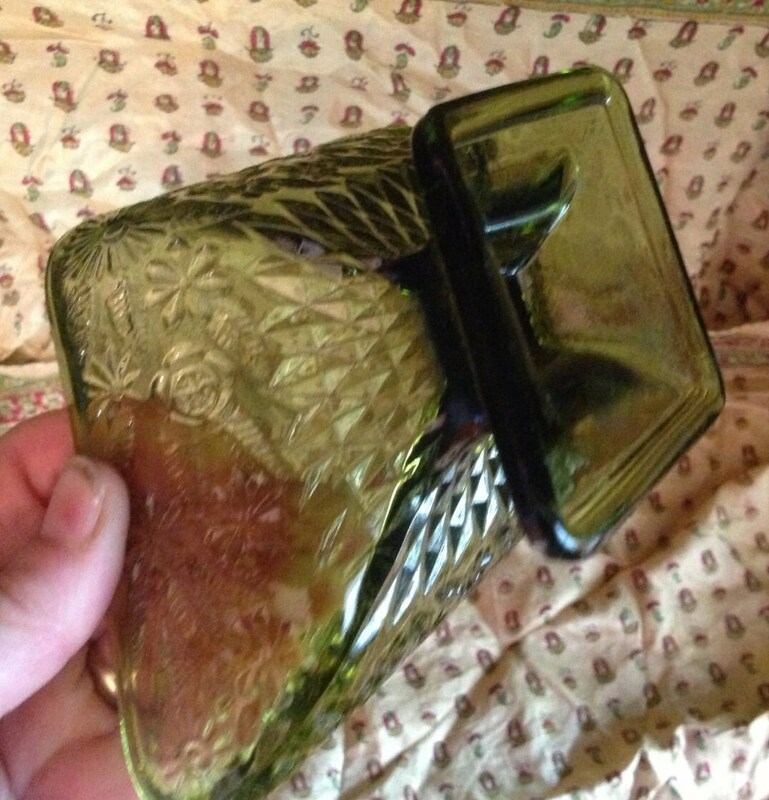 Offered is a set of two green cut glass dishes. 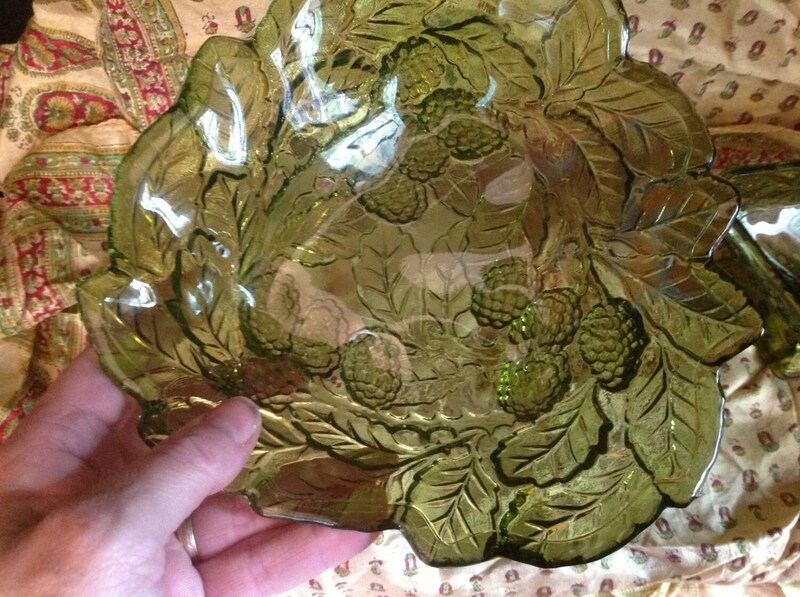 The three sided bowl design includes wild berries black berries and large leaves. It has a scalloped edge. 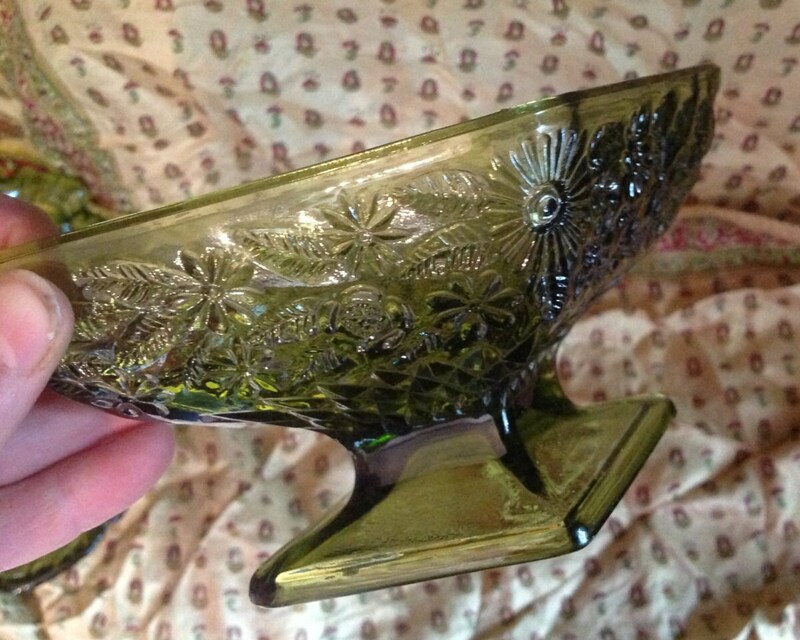 The four sided diamond shaped bowl has a footed pedestal, diamond cuts and several variety of wild flowers. The two pieces are very complementary. I do combine shipping. I reimburse shipping overages of $1.00 or more.